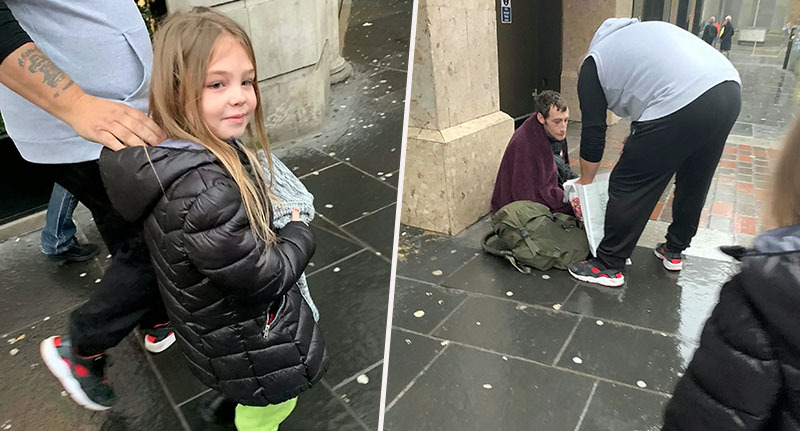 One little girl has embodied the true spirit of Christmas by spending her day handing out food and gifts to homeless people in her city. 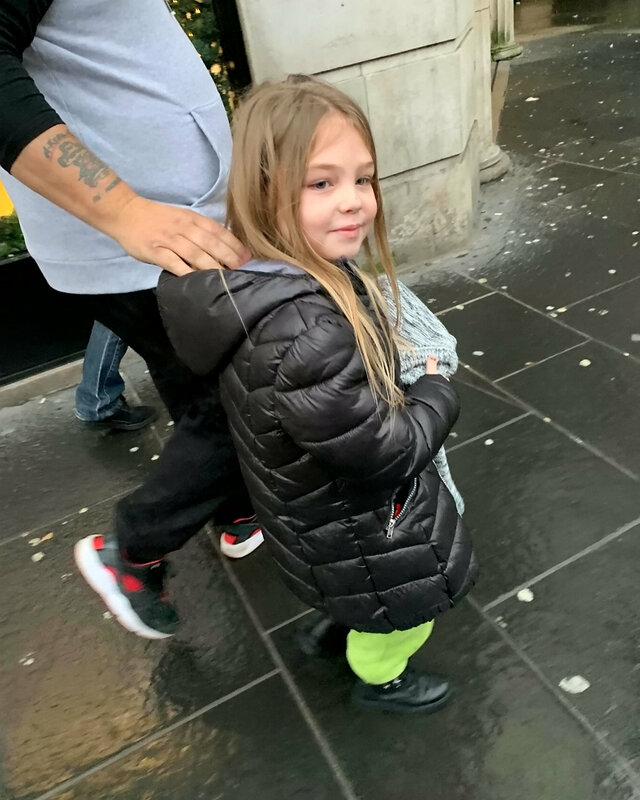 Six-year-old Pearly Rose McGowan decided to help those in need after she met someone sleeping on the streets on her way home from the cinema on Christmas Eve. After she had watched Mary Poppins Returns with her family, they walked past a man huddled in a doorway and the young girl was troubled to see his suffering. The next morning, after she had finished unwrapping her presents, Pearly Rose asked if her grandad, Martin, 57, would help her create ‘goodie bags’ to give to homeless people in Glasgow. Her family agreed that this was a great idea; her grandma, Ruth, made some soup and the family included sandwiches, crisps, sweets, socks, cigarettes and an envelope with £20 inside it. The little girl’s auntie, Teresa, 38, said one of the recipients of the gift bag appreciated the gesture so much that they were brought to tears. Her daughter, Michaela, 15, also went out in the city centre with Martin and Pearly Rose to hand out four bags of presents. On Christmas day they all opened up their presents and noticed they had a lot of stuff. It was then that Pearly and my dad remembered the homeless guy from the previous night. So they came up with the idea to go out around Glasgow giving the homeless these bags. My dad has always been a giver so I think his kindness has started to rub off onto Pearly and my daughter Michaela. Pearly went and opened up my Dad’s cupboard and took out his new jumper which still had a tag on it. My mum made the soup and we just got everything else together. 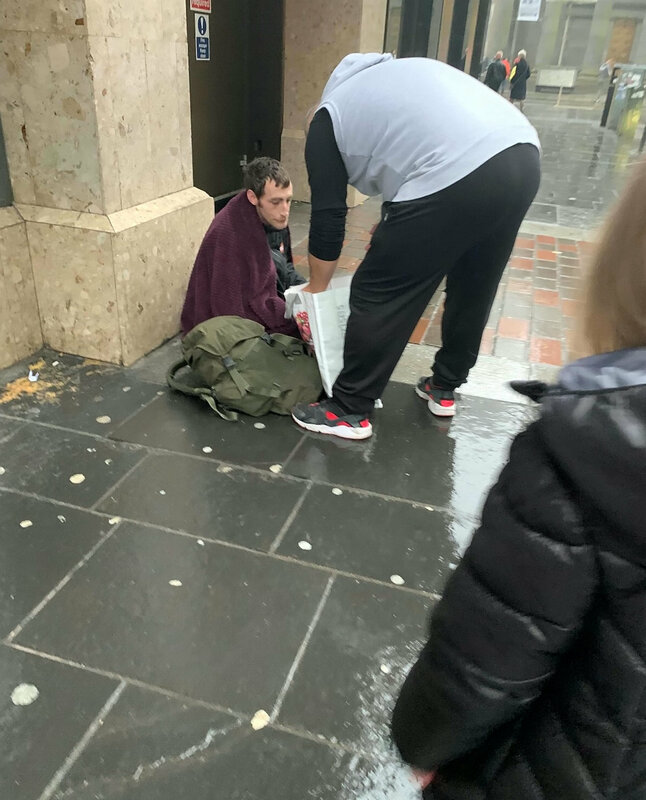 The family travelled from Clydebank, West Dunbartonshire, and spent their afternoon on Christmas Day walking around Glasgow city centre looking for people they could help. They started driving around Glasgow but they couldn’t see anyone homeless, that’s when they decided to go on foot. They went around the city centre and told us that one of the guys that received the bags was crying saying ‘you don’t know what this means’. It was just so lovely to hear, Pearly says she wanted to do it because she wanted them to have something for Christmas. It’s just amazing because at six years old or when you are 15 years old you just think of yourself. But not Pearly, she decided to think of others before herself and that’s exactly what she’s like. I’m just proud of them all. We shared the pictures on Facebook and the rest of our day the phones kept pinging just by people commenting amazed by what they had done. If that isn’t the true meaning of Christmas, I don’t know what is. And at the age of six, as well! Well done, Pearly Rose.